I’ve shared plenty of custom My Little Ponies before, but there are so many littering the internets now that Pony-fatigue has set in. So I’m getting pretty selective about which ones I post. 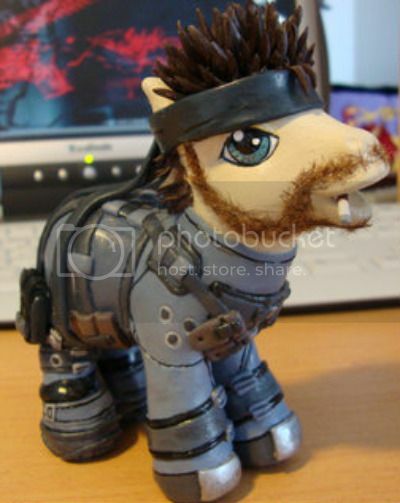 So, why then, would I post My Little Solid Snake by Fenrienne on deviantART (aside from its obvious artistic merits)? Via Nerd Approved, who once grew a miniature pony beard.